The Great Migration of wildebeest and zebra in East Africa is one of the most well-known safari experiences, drawing thousands of guests each year to photograph and witness wildebeest making their annual journey through the Serengeti ecosystem. Yet animal migration is not a spectacle reserved solely for East Africa. In Botswana, the early 2000s brought about the removal of 1960s-era cattle fences that were disrupting, separating and killing safari wildlife. Soon after, wildlife specialists began to notice a unique change within the movement of zebras in a few locations in Botswana. Upon further research and tracking, they discovered that these new zebra movements constituted a migration and that—although the human-built fences had temporarily halted the migration—the annual path had been used by zebras for centuries before human disruption. 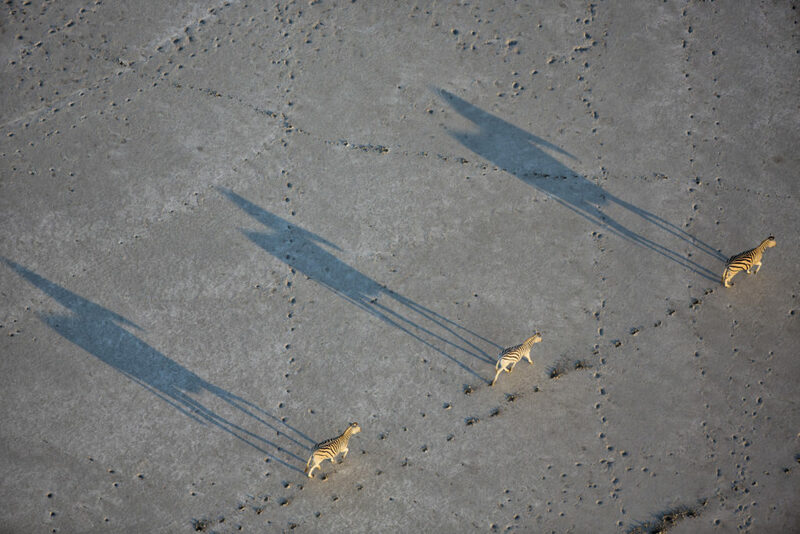 As one of two zebra migrations now present in Botswana, the Makgadikgadi (pronounced ma-KHAD-ik-KHAD-ee) Pans migration features regional movement as the landscapes of the salt pans changes seasonally. The migration arrives in the southwestern portion of the Pans beginning in December, coinciding with the green season that turns the dry pans into a lush wonderland. At its peak, zebra herds are approximately 25,000 to 30,000 animals at this time of year. As the salt pans begin to transition to their dry season in April, the zebras depart for the western side of the park to the Boteti River, arriving in the area in June and staying until September. Finally, from October to November, the zebras follow the rains to the Kalahari before returning to the southwest corner of the pans in December. Travelers looking to view the migration during the North American winter will find great options in the southwestern area of the Makgadikgadi Pans at properties owned by Natural Selection. 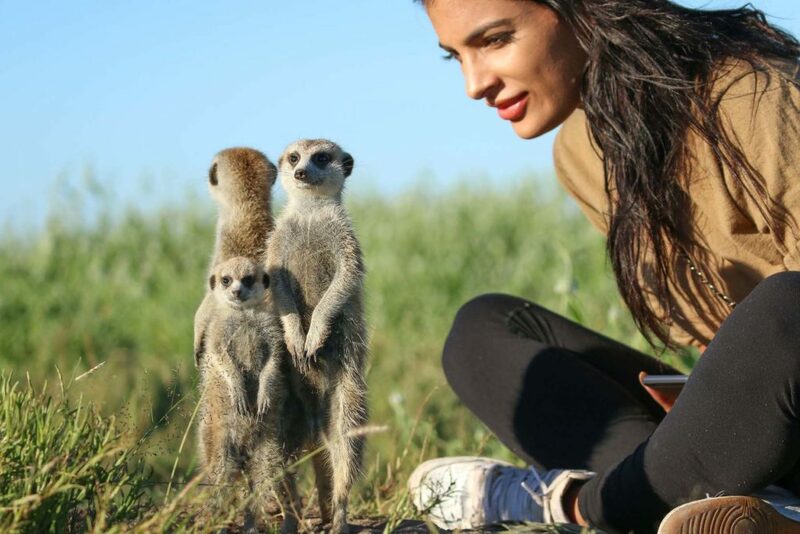 Beyond game drives to see the zebra migration and a host of other safari wildlife in the pans, each camp offers meerkat encounters, bushman walks and horseback safaris for a well-rounded safari experience. These camps are perfect for families as well, welcoming kids of all ages. This legendary camp touts the old-world 1940s style of its founder, the famous explorer Jack Bousfield. 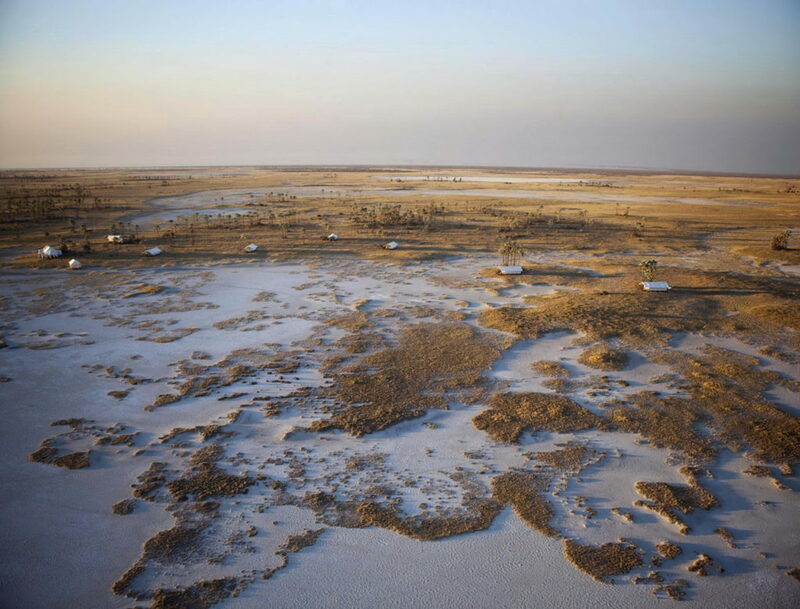 The ten tents overlook the moonlike landscape of the Makgadikgadi Pans, sparkling as far as the eye can see. The unique property offers an antique pool table, vintage charm and a one-of-a-kind swimming pool tent. Better yet, hot air ballooning is available here between January and March, perfect for viewing the dazzles of zebra from above. 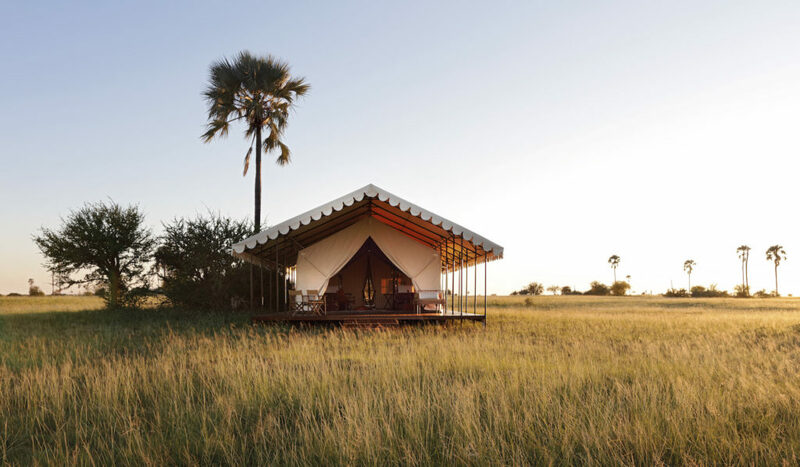 Understated and adventurous, Camp Kalahari’s eleven tents are set amongst the waving palms and acacia trees of Brown Hyaena Island. 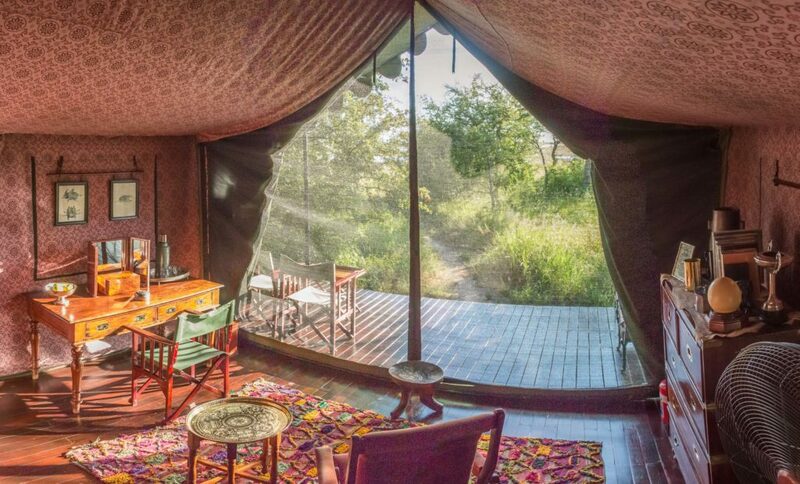 The vibe here is laidback and eclectic, focused on the safari wildlife and countless activities on offer. Like Jack’s Camp, here guests can board hot air balloons between January and March for an additional unforgettable activity. 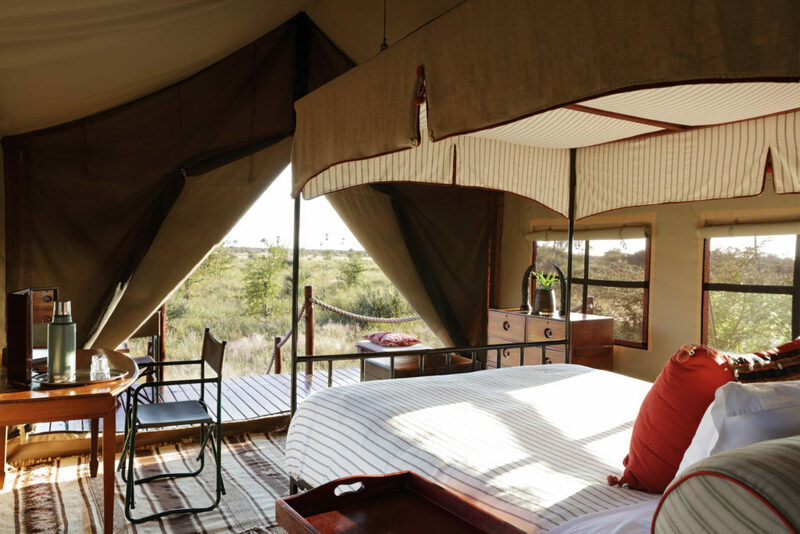 Found on the edge of the shimmering, sparkling Makgadikgadi Salt Pans, San Camp is an impossibly romantic hideaway where the magic is in the minimalism. This seasonal camp is only open during the dry season (mid-April to mid-October). While guests here will miss the zebra migration, they’ll make up for it with game drives to view safari wildlife as they navigate the incredible and expansive dry salt pans. Perfect for stargazing, romance, meerkat interactions, quad biking and more, this property quickly becomes a favorite for safari travelers. Guests staying at any Natural Selection property should be confident in their company ethos relating to conservation. The company invests a portion of its revenue back into conservation issues, specifically focused on rhino, zebra, elephants and more. Efforts vary by each camp’s location and the surrounding ecosystem. 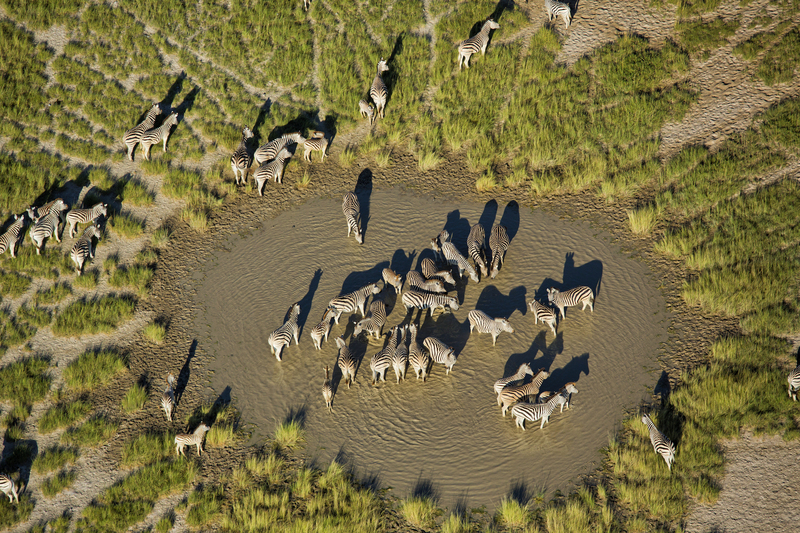 In the Makgadikgadi Pans, the company has helped place twelve new waterholes to support zebra migration and other resident animals, ensuring thousands of animals are in the protected area year-round. Outside of Botswana, new Natural Selection camps like Hoanib Valley Camp and Shipwreck Lodge offer guests a tasteful home base within some of Namibia’s most remote and jaw-dropping landscapes. 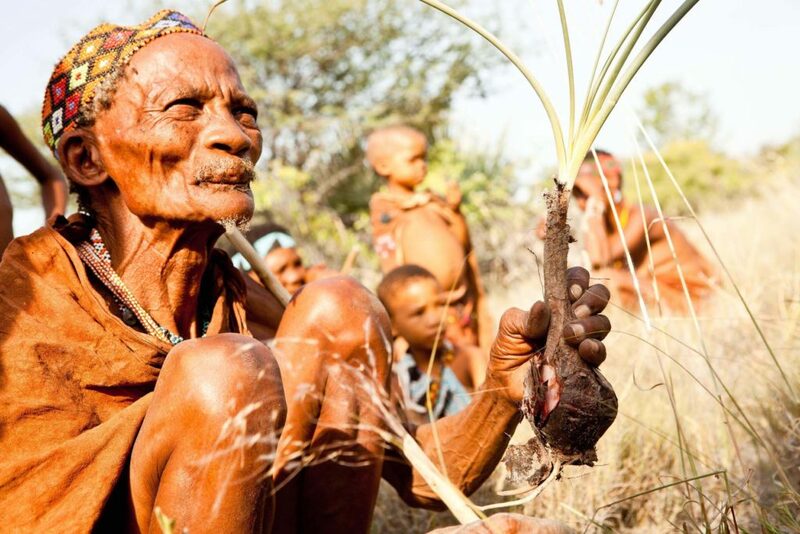 Here, travelers can witness the unique strengths of desert-adapted wildlife, visit shipwrecks on the Skeleton Coast, meet the Himba people and more. 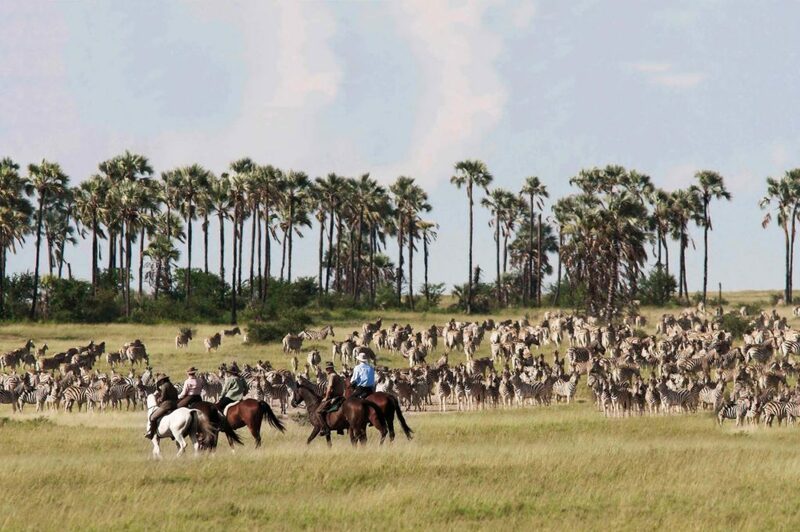 For more information on this unique zebra migration, these Natural Selection properties or travel within Africa, contact us. We’d love to talk through some ideas specifically recommended for you!